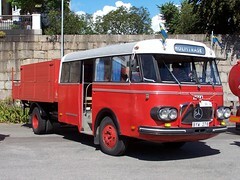 Bus Bus Bus: Mercedes-Benz Bus Truck ? Atrributed to Henrik Reinholdson. This is not my image but I like it a lot. It was made apparently in 1965. Is it a bus, a truck ?